Don't tell anyone this but I bought some gardening clogs the other day. Signalling a new direction in my life, going rapidly south. The kids are only 9 but they've already noticed this sea change and are no doubt thinking horrible thoughts, as they see me shuffle around in the flower beds; all bent and stooped. Maybe not so much about impending mortality but more about the fact that roles will be reversed at some point and that one day, they will have to wipe my bum. Perhaps I am over-analyzing here. Perhaps I am anxiously screwing. Over feeling so damn comfortable in my gardening clogs. It feels like a dirty secret. So please, keep this one safe. But seeing as this is supposed to a quick post, I think I should get to the point and share a rather nifty recipe for wild garlic, egg and bacon filo pie. Or spanakopita, as the Greeks call it. I don't think I have to explain too much as to why I have used wild garlic as a principle ingredient. A lot of similar recipes call for spinach but if you are going to inject some green into proceedings, why not use something a bit more pungent. Especially if you have lots to hand. Egg and bacon is always a happy marriage but in this case, they serve really to bind everything together and to provide a bit of seasoning. 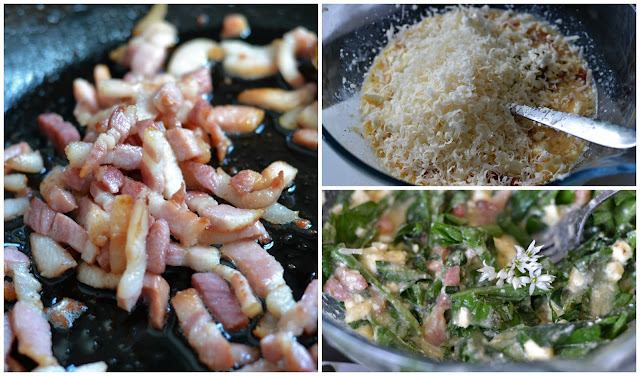 Creating a softly scrambled and porcine base for a light, Spring-like lunch or dinner. Be careful with the filo though. Regarding the use of wafer thin pastry, some naysayers will scoff at the suggestion of the word 'pie' for something so delicate. But after a brush with some melted butter and a quick brush in the oven, those scrunched pieces can turn into razor sharp shards. So eat with care. In some cases, you may want to take your teeth out first. 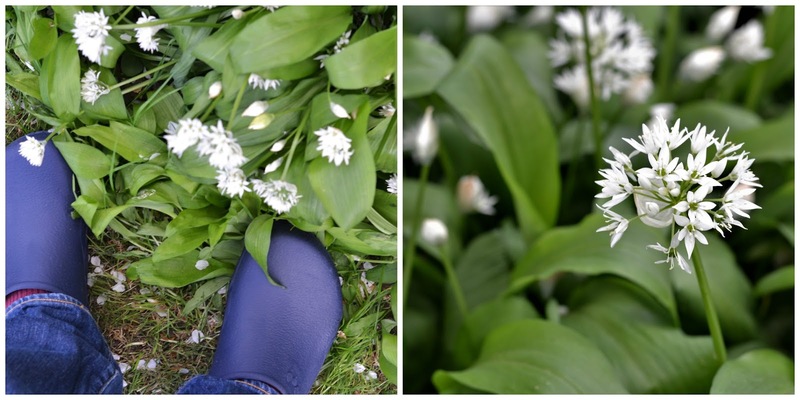 1 good handful of wild garlic, leaves washed and roughly chopped (and a couple a flowers can be thrown in too, if you like). Heat your oven to 180C and place a frying pan on the hob, over a medium heat. Add the bacon lardons and quickly fry off, until they slightly browned and crispy. Leave to cool. Once cool, mix the bacon with the eggs, feta and Parmesan and wild garlic together and then season generously with some black pepper. (Note, I haven't added salt on account of the bacon and the cheese). Next, grab a pie dish and take the filo pastry out of the fridge and leave it out on the side for 20 minutes. Melt some butter and brush the base and sides of the pie dish and then drape a sheet of the filo across, pushing it gently to the inside and there should be plenty to hang over. Repeat with two more sheets, criss-crossing them so that all the sides of the dish are covered. Now pour the filling into the centre, pressing everything down a touch so that the base is covered. And then pull all the remaining hanging filo over, scrunching and twisting to fit. You will probably have a gap in the middle left uncovered, so take the last sheet of filo and again scrunch and twist to fill in the gap. Using some more melted butter, brush the filo all over the top and place into the oven to bake for 30 minutes, or until the top turns crisp and light brown (keep an eye on this). 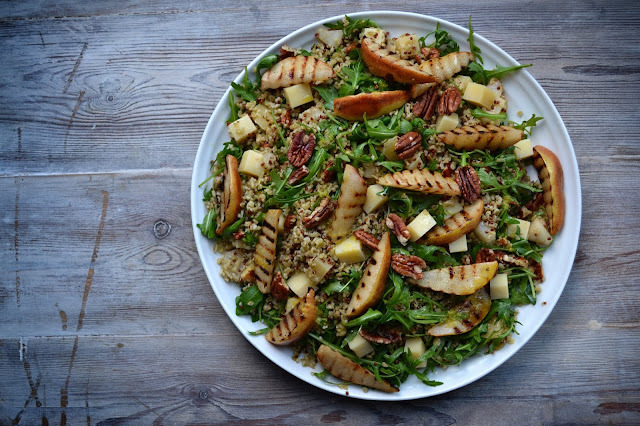 Leave to cool to room temperature and then slice up into quarters and serve with a mixed salad. A wild garlic spanikopita. Now that's a stroke of genius. Gardening clogs are not.